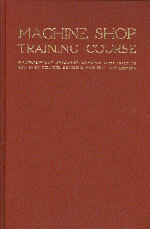 Covers fundamental principles; methods of adjusting and using different types of machine tools - with typical examples of work-measuring instruments and gauges; cutting screw threads by different processes; thread grinding; gear cutting; precision toolmaking methods; typical shop problems with solutions; and miscellaneous facts relating to the art of machine construction and much, much more. Principles of Metal Cutting. Lathe Operations: turning; turning cylindrical parts; taper turning; chucks and faceplates; drilling and boring. Single Point Form Tools and Tool Grinding. Speeds and Feeds Principles. Cooling and Lubrication. Screw Threads: cutting screw threads; measuring pitch diameters. Turret Lathes. Vertical Boring and Turning machines. Drilling and Reaming Holes. Spacing and Locating Holes. Cylinder Boring. Jig Boring. Measuring Instruments. Gage Blocks. Generating Surfaces and Angles. Blueprint Reading. Shop Safety. Tapping. Dies. Milling and Grinding Screw Threads. Rolling Processes. Planning Processes. Milling Flat, Curved and Irregular surfaces. Indexing. Cutting Spur Processes. Milling Flat, Curved and Irregular surfaces. Indexing. Cutting Spur and Bevel Gears. Grinding Cylindrical and Tapered Parts. Grinding Milling Cutters and Reamers. Lapping. Broaching Internal and External Surfaces. Chipping, Filing and Scraping. Tool Steels for Metal Cutting. Heat Treatment of Steels. Numerical Controls.